Just wanted to give you a quick update on the Powerbronze UK website and discount codes. The site is now setup to accept the discount code UKFORUM1. Customers from the UK & Ireland (Northern & Southern) can now order from www.powerbronze.co.uk and receive 10% off. To do this, add whichever products you want either by using the Bike Search or looking through the products menu. 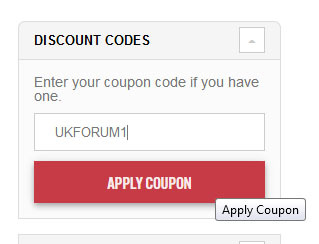 Then go to the shopping cart and select the Discount Codes section by expanding the menu on the top right of the page, enter UKFORUM1 and press Apply Coupon. Once you've applied the discount code, you can go to the checkout page and complete your order. Please Note : I am out of the office tomorrow (Friday) and will be back in on Tuesday 28th August at 9 a.m. Have a good bank holiday weekend everyone. Is it possible to purchase a replacement RH winglet in blue? I damaged it on tour this year.